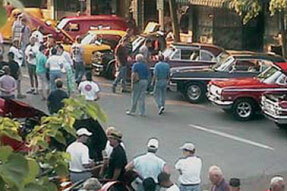 MainStreet Cruise-In - This event averages more than 500 cars on display at each event. Come and enjoy the festivities; admission is free, door prizes are given away at the Cruise-In entrance. 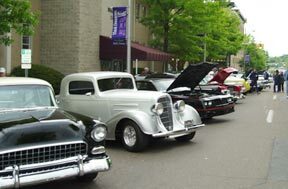 Cruise-In’s are held the fourth Saturday of each month April – October from 1 p.m. to 6 p.m.
Just Check Out the Scenery! 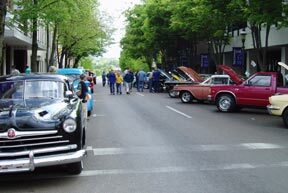 Join classic car enthusiasts around the Courthouse Square in downtown Cleveland, TN. 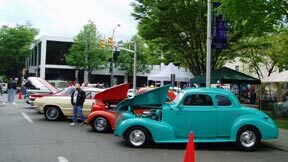 See restored cars and other special vehicles of interest at this popular free event. Stroll the streets, shop and have dinner in one of our many locally owned restaurants. 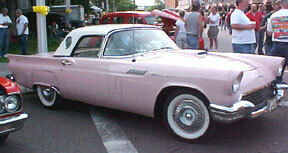 ﻿This monthly event has been a downtown fixture for over ten years and typically features 500 or more vehicles. There’s no entry fee to exhibit or attend, so make your plans to cruise on down and see the show. The swap meet is fun and the perfect place to buy, sell or trade that unique and hard to find part or accessory. Spaces are free and are available on a first-come basis. and 70’s fills the air. or Larry Miller: (423) 421-8986.